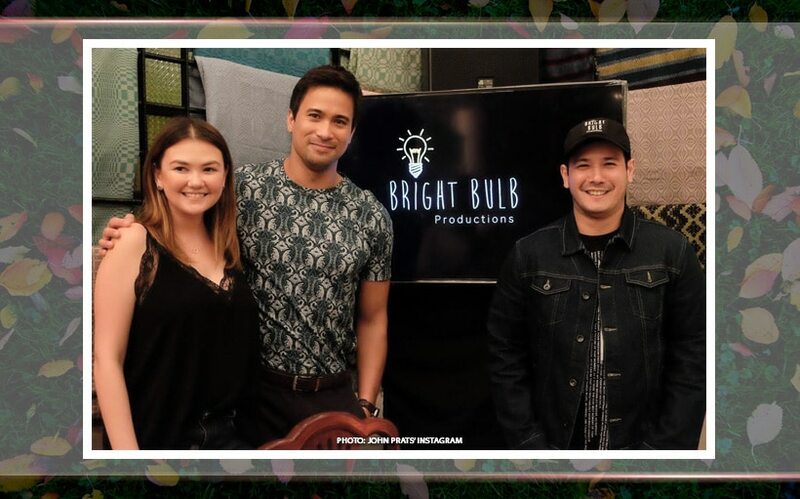 Angelica Panganiban, John Prats, and Sam Milby took their friendship to the next level because as of yesterday, November 20, they are officially business partners. The three have finally fulfilled one of their dreams: to start a movie production business. In his Instagram post, John reiterated that for now, they are just producing music videos. "Finally launched our first business venture @brightbulbproductions. "We just used to talk about this dream of ours before. But, here we are now, finally making our dreams a reality, doing one of things we love doing - producing quality videos and maybe soon, movies too (finger-crossed). "I'm just so proud of us, this moment. "To my awesome, creative and talented friends/business partners @iamangelicap and @samuelmilby, continually praying for our friendship to grow and for us to succeed in the many years to come. "To God be all the glory🙏🏻"
Aside from the launch of their business Bright Bulb, they also released their first-ever project: the music video of Moira Dela Torre's "Malaya." The video, directed by John, stars Angelica and Sam. THROWBACK: Sam-Toni team-up in 'You Are The One,' nakakakilig pa rin after 12 years! Fitness Day: Work your way to happy and healthy with Sam and Toni! It's a wrap for 'Mary, Marry Me', the SizSam movie!